Brace yourselves, for the cold season is coming! 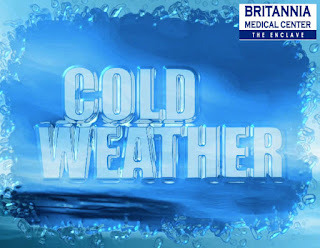 We all know too well that when the temperature drops we are in graver risk of getting sick. Common illnesses that can be treated by medicine for cough and cold is definitely rampant during the “Ber-“months and the main suspect as to why the immune system weakens. With this, the birth of seasonal variation in our health occurs. That’s why oftentimes you start to feel … different … when the cold months of September to December rolls in. According to research, our genes change their behavior seasonally, and that is why flu occurs on a seasonal basis. What happens is that our immune system genes are turned on and off on an annual cycle, in an attempt to prepare our bodies from health threats that can most likely arise at different times of the year. 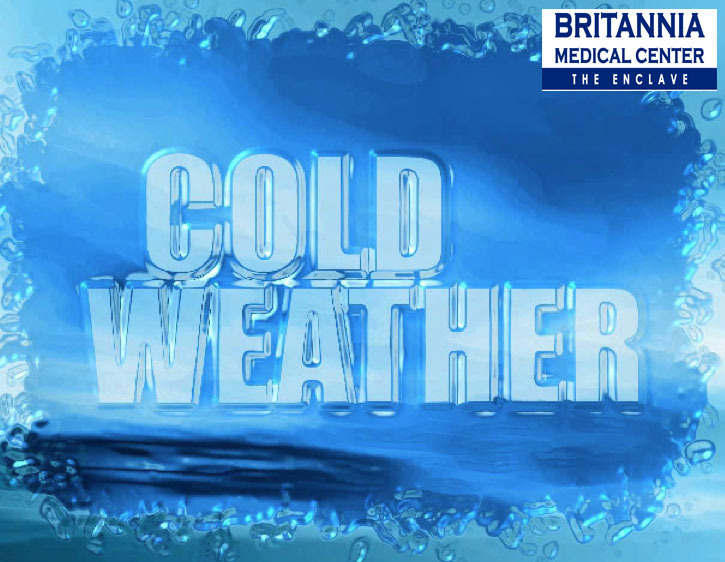 Recent studies have proven that during cold season, the immunity genes such as the white blood cells or the infection-fighting cells are more active than ever – proving that when the temperature drops, our body adjusts to the atmosphere. Some countries don’t have winter technically speaking, and the cold season for them (including us in the Philippines) would mean the rainy days, hence their seasonal gene would rev up during these times. When the immune system gets in full defense mode it takes a toll on our bodies, because as they take position to defend us from illnesses, they actually become more likely to go awry and attack our own bodies. Our immune genes fight off infection because they control our immune cells. When this happens, they release a chemical that fights off negative invaders that attempt to get us sick. Swelling may occur due to the chemicals our immune genes release, hence the inflammation that can happen in our immune system. Too much inflammation is dangerous – chronic inflammation could trigger damage throughout the body, causing conditions such as heart disease, type 1 diabetes and arthritis. When it’s cold, it is presumed that we gain more weight than usual. This is because of the genes that are linked to the control of our metabolism. Each individual’s metabolism changes with the seasons too, meaning our metabolic rate slows down and our bodies burn less energy during the cold season. This was originally meant to help us survive during the winter when food is not as available as during the other seasons (since we’ll be able to conserve enough energy to sustain us for a while). On the other hand, it can also be bad for us because we now have access to a lot of food even during the cold season, and the weight gain could lead to unhealthy proportions. Nowadays, with our busy and hectic schedules, we tend to neglect our health. Heck we even forget to drink ample amounts of water throughout the day sometimes! Due to this, we are more vulnerable to get sick. It shouldn’t be too difficult to remember to take care of our bodies, especially now that the cold season has started to kick in. Staying healthy is a challenge but with regular exercise and a healthy diet we can overcome unwanted illnesses. Make sure you visit your doctor constantly for check-ups, and inform them of any symptom of ill-feeling you may have been feeling, regardless of how silly you think it sounds. 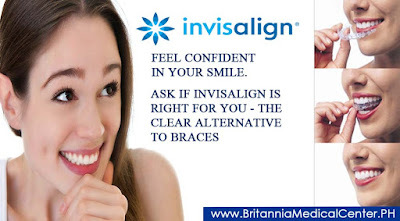 Depending on the condition of your mouth at any one time, Our dentist at Britannia Medical Center - The Enclave performs several different types of procedures. Although teeth cleanings, cavity fillings and bondings comprise some of the routine sessions, more involved procedures are now common and easy to complete. In addition to root canals and wisdom tooth extractions, dental crowns are often needed as well, and come in more than one form. Before differentiating between the different types of dental crowns, consider the functions they serve. A dental crown is a fixed prosthetic object that is cemented onto a tooth. The main purpose of a crown is to cover a damaged tooth, but it also strengthens it, improving its overall appearance and alignment in the mouth. There are four different types of dental crowns. Porcelain-fused to metal – This crown provides a stronger bond than regular porcelain because it is connected to a metal structure. It’s also extremely durable. Gold alloys – This crown is a mix of gold, copper and other metals. In addition to providing a strong bond to the tooth, it doesn’t fracture, nor does it wear away the tooth itself. The sealing ability of the all-porcelain crown depends on the filling materials and the quality of the underlying tooth, whereas the other three provide particularly good seals against leakage. Durability is best in the gold and metal alloys crowns, whereas the all-porcelain crown tends to be less strong, more suspetible if it is put under enough pressure (if you grind your teeth at night, this may pose a problem). By contrast, the crown of porcelain fused to metal offers better durability. Both porcelain-based crowns are highly resistant to wear, but they can quickly aggravate opposing teeth if the adjacent surface becomes rough. Incidentally, the gold and metal alloys are resistant to wear and gentle on opposing teeth at the same time. 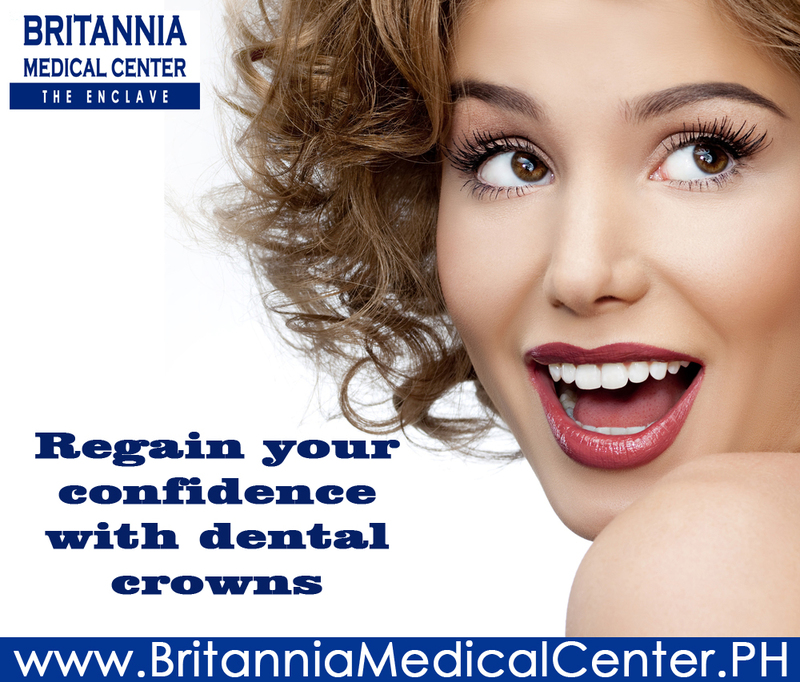 Though they sometimes become loose or fall out, crowns can last a lifetime if properly maintained. 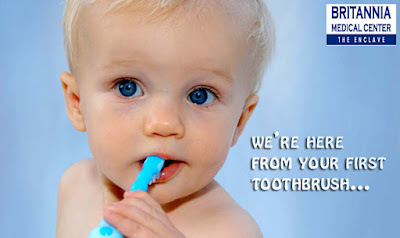 The best way to achieve this is through proper oral health. Brushing and flossing twice a day are your go-to methods of keeping your teeth healthy every morning and night. 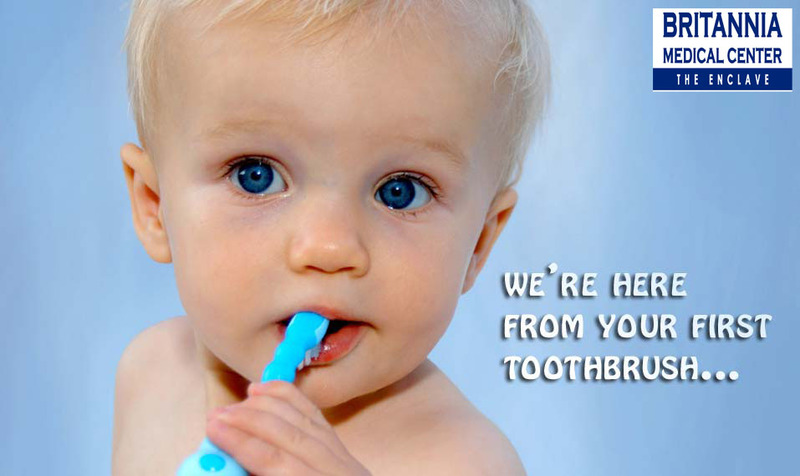 Use a toothbrush to keep your teeth spotless, especially your back molars. Above all, scheduling regular checkups at Britannia Medical Center - The Enclave is key to sustaining good oral hygiene so that you won’t have to choose from these different types of dental crowns. If you’re like most people you’ve never heard of Glutathione however, Glutathione is actually fairly popular in particularly with women. Glutathione is typically used for skin whitening, and as a product, that’s where it really shines but, it can be very helpful with a number of other skin issues as well. 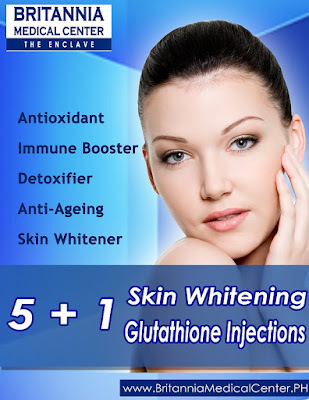 If you’re considering using skin whitening products but you’re afraid of potential side effects, you should give Glutathione some consideration. It’s effective when it comes to whitening the skin quickly, and it’s widely regarded as a safe way to whiten the skin. Glutathione is an antioxidant made from glycine, glutamic acid and cysteine. While Glutathione is prepared like any cosmetic or vitamin product – in a safe, sterile laboratory setting – it is made of all-natural amino acids that occur in nature and are beneficial to our bodies. In fact, Glutathione can be found in many healthy foods that people eat on a regular basis, some of which are actually considered among the healthiest foods in the world. It can also be taken via intravenous injection, though you’ll need to visit your dermatologist to have this procedure done. While many dermatologists recommend Glutathione injections because they get 100-percent of the dose into your bloodstream,Britannia Medical Center - The Enclave have single dose and double dose. Single dose contains VIt C while double dose contains Vit C plus Collagen. Glutathione injections are highly effective. While Glutathione is most commonly used by women looking to whiten their skin, it may have a beneficial effect for women that have cystic acne, acne-prone skin or even the occasional breakout. Glutathione won’t help hormone-related acne in most cases since it doesn’t affect hormone levels in the body like birth control pills or injections, which are commonly prescribed for women with hormonal acne. Glutathione isn’t known for its health benefits, but it is an all-natural chain of amino acids that your body needs. While more research needs to be done, there is some evidence that taking Glutathione could actually help to improve a weak immune system or make a healthy immune system even stronger. Like any dental procedure, you'll first visit Britannia Medical Center - The Enclave for a consultation with one of our dental experts. If Invisalign is right for you, we'll determine your Invisalign treatment plan. Whether your teeth are crowded, crooked, have spaces between them or have shifted since wearing braces, you'll have a reason to smile at the end of your Invisalign treatment. For most patients, the Invisalign treatment can be completed in less than one year. Keep in mind that the length of treatment will vary for each patient, so it's important to speak with us about how your expectations and goals fit into Invisalign. Think Invisalign might be right for you? Visit Britannia Medical Center - The Enclave and discuss the Invisalign treatment. You can be on your way to a straighter, more beautiful smile in no time! Radio Frequency (RF) Treatment is a non-invasive procedure to reshape both body and face. It uses specialized devices that emit RF waves which help effectively contour the body and reduce the appearance of cellulite and fat with the use of heat energy. Radio Frequency treatments work by delivery of RF energy (in the form of heat) to the dermis (the deepest layer of skin) and sub-dermal layers without damaging the top layer of skin or epidermis. Heating in this area causes collagen contraction, realignment and new collagen production which continues to build over several months. By promoting the production of healthy collagen, Radio Frequency can help firm up and sculpt your face and body resulting in tighter, younger looking skin. Full results are noticeable approximately 2 -3 weeks after treatment. Who can avail of this treatment? Individuals who are unhappy with their sagging jowls, neck, cheeks and want to get rid of fats and cellulites in certain parts of their bodies without undergoing surgery are the best candidates for this procedure. Because this treatment has no known adverse side effects, individuals of any age or gender can avail of this procedure except pregnant women, patients with skin infections in the area to be treated and individuals with pace-makers or metal implants as the RF may interfere with these devices. Patients seeking acne treatment through RF should only undergo the procedure after acneic lesions have cleared. Avoid doing anything that will irritate your skin immediately before treatment. Sunbathing, for instance, can burn the skin that can get worse with further exposure to RF heat. Some people experience mild redness immediately following treatment (similar to sunburn), but this usually disappears quickly. Since there is no external wound created, most patients find that they can return to work and normal activities immediately after treatment. A course of anywhere between 6 to 10 treatments (depending on the areas treated and your skins reaction to the treatment) is usually recommended for the most beneficial results. A maintenance treatment approximately every 6 months after your initial treatment course is advised to maintain the results. Treatments should be done at 1 to 2 weeks intervals. Get slimmer and sexier instantly and safely with the painless and non-invasive RADIO FREQUENCY SLIMMING TREATMENT that burns unwanted fat under the skin. As we discuss your child’s dental care with you, we’ll be able to provide essential information and training for how to care for their teeth and gums at home. We’ll also be able to ease any common concerns you may have, such as thumb sucking or other oral habits, as well as give you sound advice and techniques for dealing with these problems.